Ok, so you say “NO BRAINER” but wait this is so cool. It’s so hot on the boat and we’re using our grill for EVERYTHING! We love this way of cooking up our dinners and it’s so easy. All you need is foil, your favorite veggies and your choice of meat to grill. 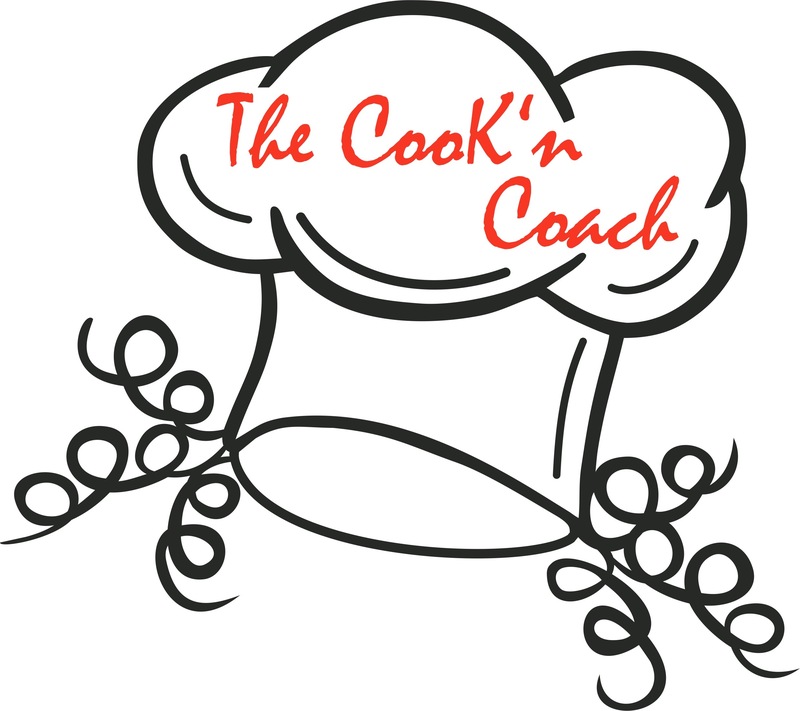 Ours happens to be salmon so check out how we grill it with my Crispy Salmon Salad. Or you could serve these Steamed Veggies with my Easy Peasy BBQ Pork Belly. Go meatless and add a few sliced onions, red potatoes or sweet potatoes. Whatever you choose you’ll be addicted and I guarantee this will become one of your regulars for summer grilling. The greatest thing is the cleanup! No dishes!!! dash your favorite seasoning I love old bay! 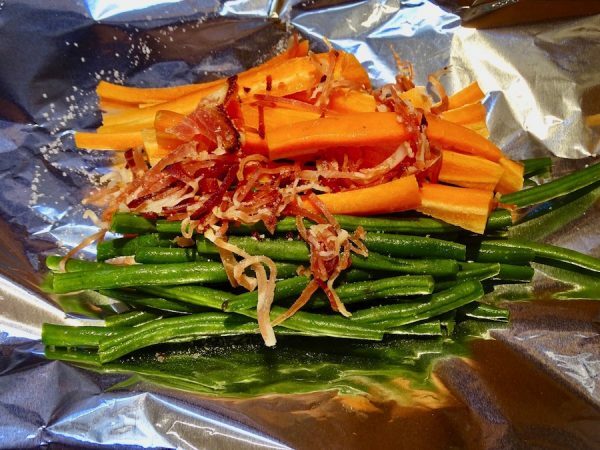 Make sure you prep your foil before you start with your veggies. 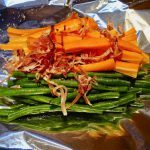 Place the washed beans and carrot sticks on the double folded 24x24 piece of foil equivalent to a 12x12 sheet of foil. Cut the bacon into small strips and place on top of the veggies. Season with Himalayan Salt & fresh pepper (or your choice). Fold the top down tight. Fold the ends in and press them together so the bacon grease does not leak out when you flip them. Cook for 5 minutes and then flip and cook for another 5 minutes on a medium to hot grill. We have this down to a science since our salmon takes 10 minutes as well. Ta-da! Fresh super side for any meal! 1)We've done this with sweet potatoes as well. Try rubbing your sweet potatoes in curry! They need 25 minutes. This was a treat and added just the right touch to our grilled Tandoori Chicken in the Rain! 2) You can use any veggies you like. When I'm combining 2 or 3 veggies in one foil pocket I make sure they're ones that need equal cooking time. A good combo is sliced zucchini, mushrooms and onions! 3) You can also make a pocket for your marinated fajitas veggies and use my grilled Carne Asada steak recipe.